Rayman is coming to Nintendo Switch! 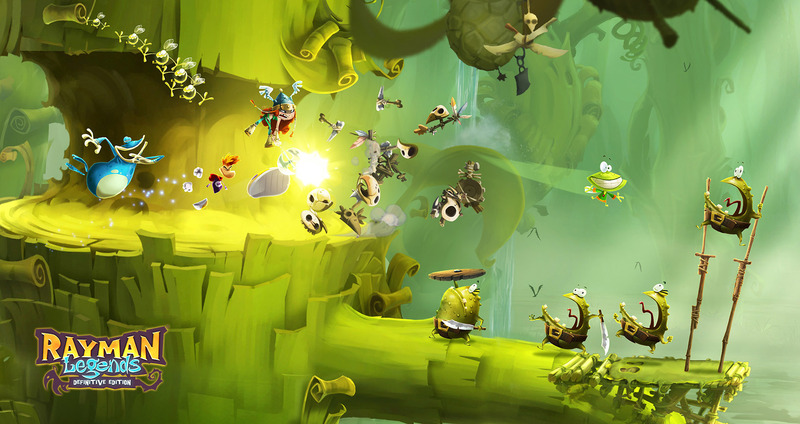 Rayman® Legends: Definitive Edition contains the acclaimed game Rayman® Legends as well as new exclusive content. Try Rayman for free on Nintendo Switch™! 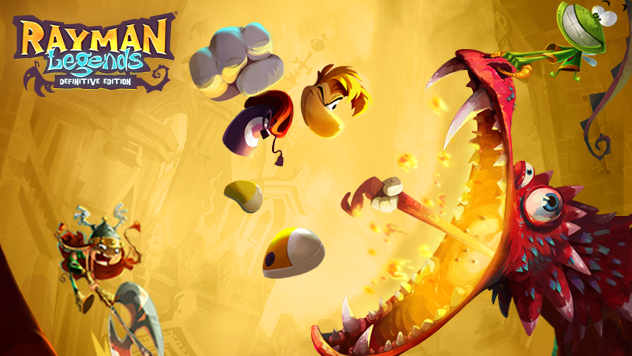 Rayman, named platformer of the year and winner of multiple artistic and musical achievements, is coming to the Nintendo Switch with Rayman® Legends: Definitive Edition. This edition contains the acclaimed game Rayman® Legends – 92 metacritic on Wii U – as well as new exclusive content. Michel Ancel, celebrated creator of Rayman®, Beyond Good & Evil® and the Raving Rabbids® is bringing his innovative creativity to this new and exciting platform. It will make full use of the power of the Switch and its new controllers. Rayman, Globox, and the Teensies are off wandering through an enchanted forest when they discover a mysterious tent filled with a series of captivating paintings. As they look more closely, they notice each painting seems to tell the story of a mythical world. While focusing on a painting that shows a medieval land, they are suddenly sucked into the painting, entering the world, and the adventure begins. The gang must run, jump and fight their way through each world to save the day and discover the secrets of every legendary painting. Thanks to the new capabilities of the Nintendo Switch™ and its Joy-Con, Rayman® Legends: Definitive Edition will enable up to 4 players to experience wireless local multiplayer. 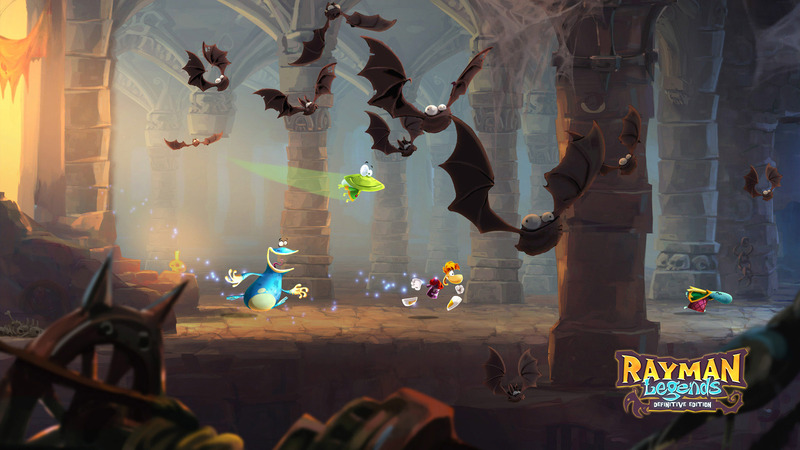 Rayman® Legends: Definitive Edition will bring new features for Kung Foot! 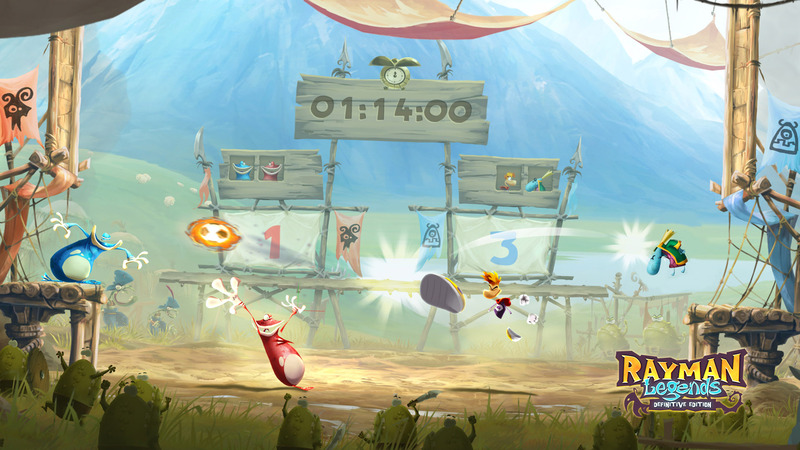 Rayman® Legends takes full advantage of the Nintendo Switch and its new controllers’ capabilities. Undock your Switch device and use the touch screen to take out enemies, manipulate platforms, cut ropes to clear a path and much more. With the gyroscope technology, you can move rotating platform and there are many more surprises to come! Thanks to the Nintendo Switch and its new controller play with your friends at any time! The Nintendo Switch allows you to keep playing the game when you want solo or multiplayer. Connect with your friends through a variety of challenges that will test your skill and speed. Check the leaderboards to see where you rank around the world. Jump to the beat of a drum, punch to the bass line, even zip-line during a guitar sustain. Timing and rhythm are the key to beat these maps set to music. 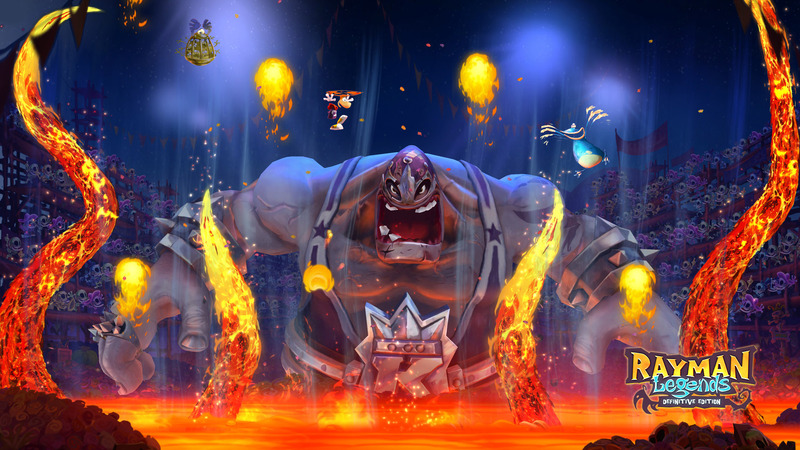 See if you have what it takes to be a Platforming Hero. © 2017 Ubisoft Entertainment. All Rights Reserved. Rayman, the character of Rayman, Ubisoft and the Ubisoft logo are trademarks of Ubisoft Entertainment in the U.S. and/or other countries. Nintendo trademarks and copyrights are properties of Nintendo.